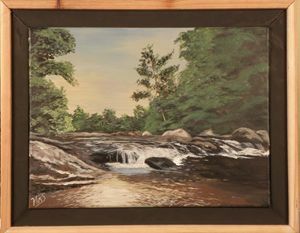 Original Painting, Acrylic on Canvas, unframed. 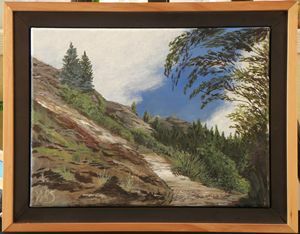 Painting is 16”W x 12”H. 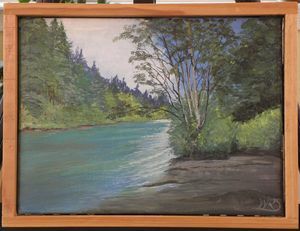 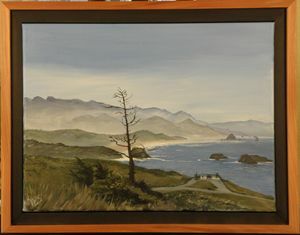 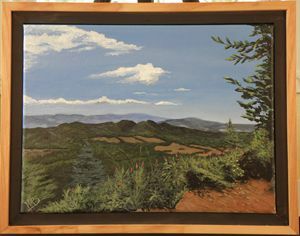 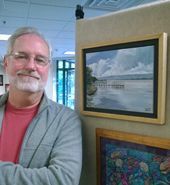 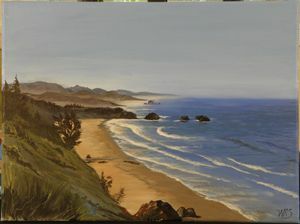 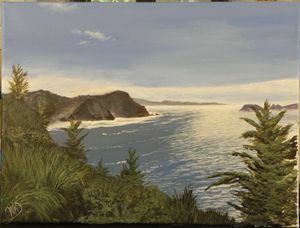 The painting is a scene of the beautiful Oregon coastal mountains and seashore. 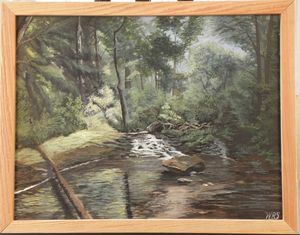 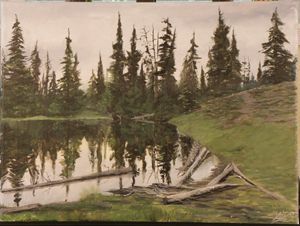 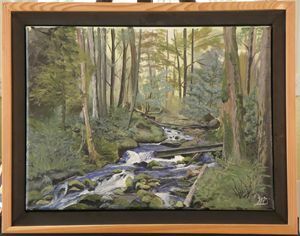 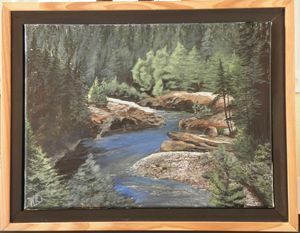 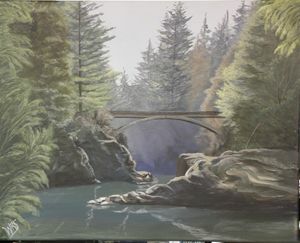 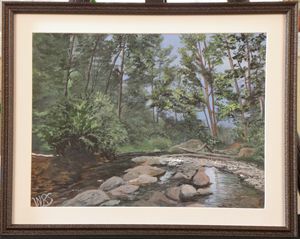 The painting is from a photograph we took when we were camping in the area. 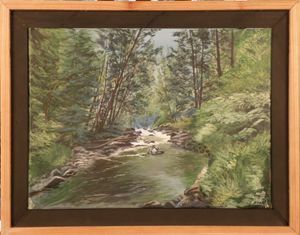 This painting is available in a floating style frame with flat black inner and roughsawn cedar outer. Contact artist for details.